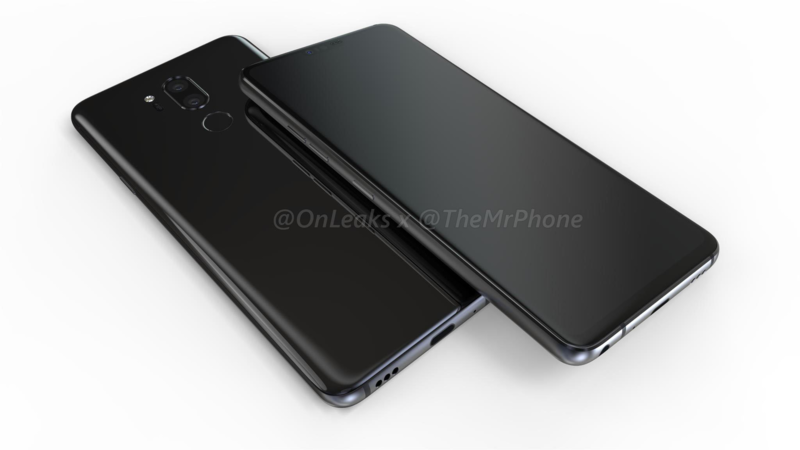 The rumor mill for LG's upcoming G7 has had an interesting ride, with reported name changes, scrapping of an existing design, and so on. Most recently, we saw a video leak of the "G7 (Neo)," which was later said by Evan Blass to simply be the standard G7. These latest CAD renderings, courtesy of OnLeaks, confirm what we'd previously seen. OnLeaks collaborated with Mr. 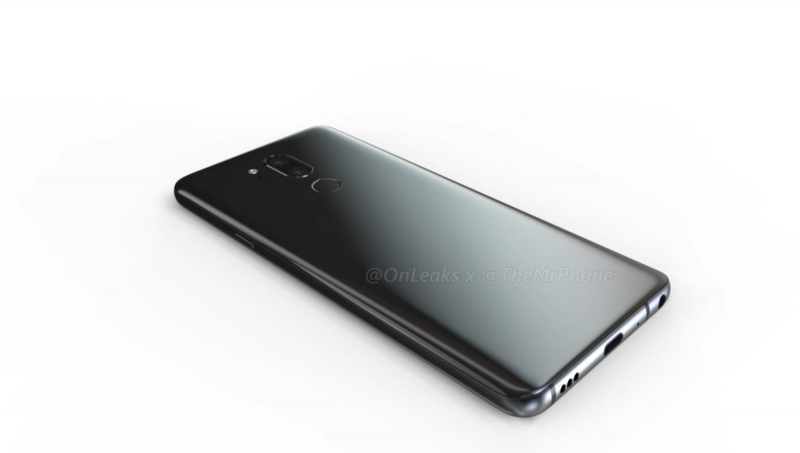 Phone to unveil this set of renderings, as well as a 360-degree video. 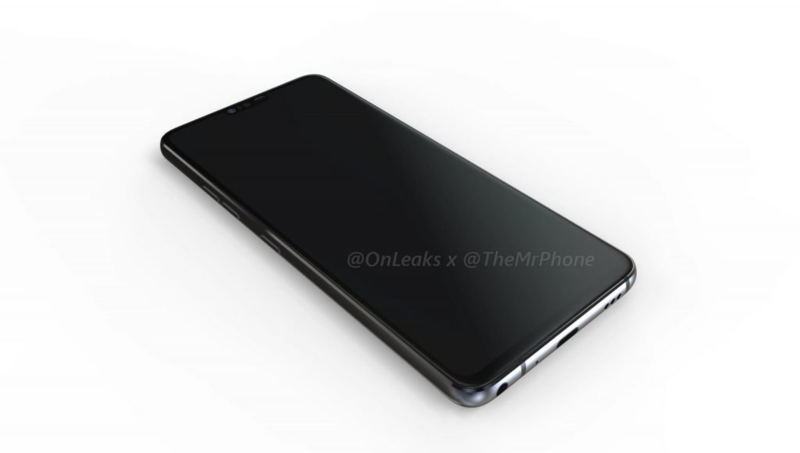 What we see is basically what we expected after seeing the G7 (Neo) leak, though these images are less pixelated and show off more angles of the G7. For instance, we didn't previously know that the phone would have a headphone jack. 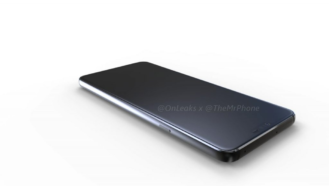 Up front, the nearly bezel-less display is marred only by the notch that we knew was coming. 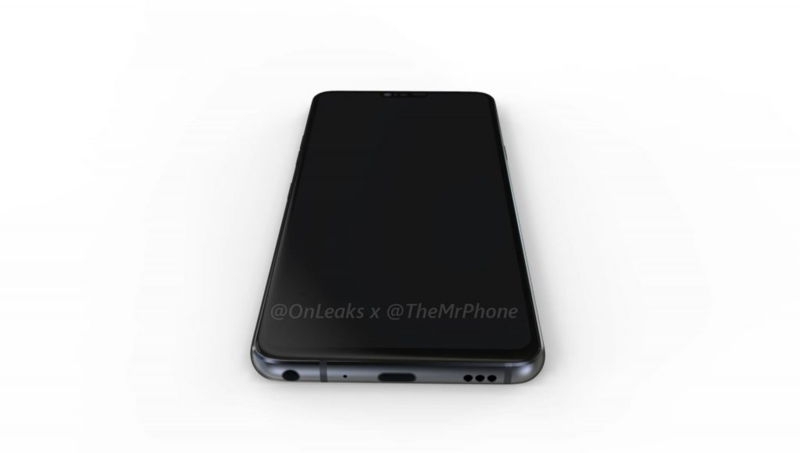 The bottom reveals a headphone jack on the left, as well as a USB Type-C charging port in the middle and a speaker on the right. The frame is metal, which means that antenna lines are required. The left side of the phone has one button, likely the power button. LG's been using the rear-mounted fingerprint sensor as the power button on its phones for many years, but it looks like that's about to change. The right side has three buttons; two of them are for volume controls, but we're not actually sure what the one on the bottom does. Perhaps LG is preparing a Bixby competitor? Out back, we see a vertically-oriented dual camera setup with a fingerprint sensor directly below. 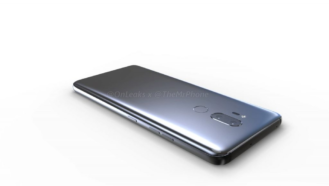 As it is on the G6, the back is made of curved glass. There's not much to see on the top aside from two microphones. The G7 has been rumored to be unveiled in June. 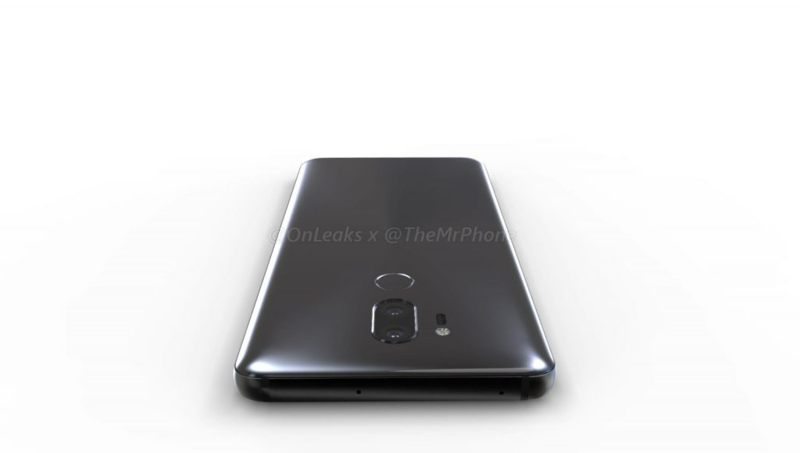 If that's to be trusted, we can expect a new LG flagship in around two months. And based on the specs we've heard, which include a 6.0" OLED (or LCD? ), Snapdragon 845, 4GB/6GB of RAM, dual 16MP sensors, the flagship competition may be getting a little more fierce.